All Tiki Parlour releases are designed and created by actual old-time musicians and folk artists. 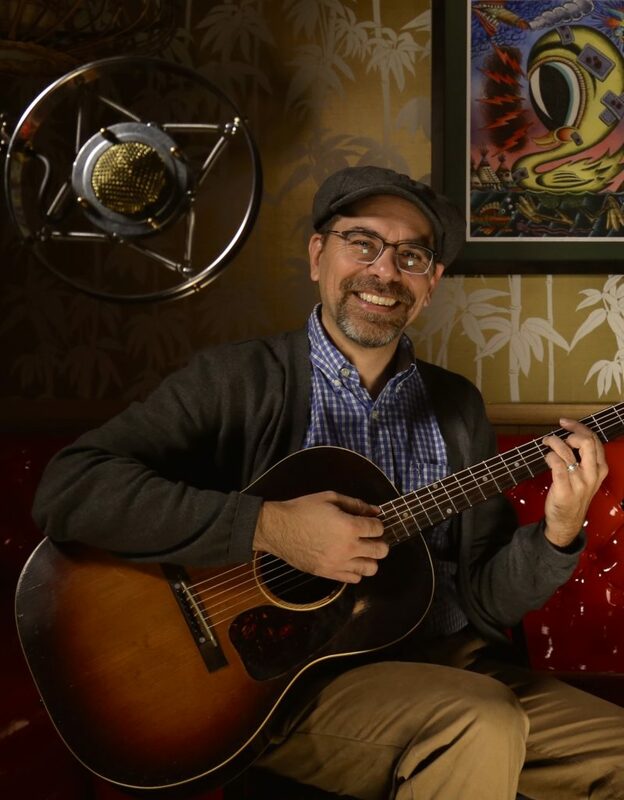 David Bragger is a Los Angeles-based old-time musician, instructor and co-founder of Tiki Parlour Recordings. He is also the curator of The Old-Time Tiki Parlour. David was an itinerant street magician, collector of South Asian folk tales and filmmaker following his graduation from UC Santa Barbara with a degree in Religious Studies. After inheriting his great-uncle’s fiddle, the obsession for old-time began. After years of visiting with and studying old-time musicians including Mel Durham, Tom Sauber, Dan Gellert, Charlie Acuff, Benton Flippen, Clyde Davenport and Joe Thompson, David is a go-to-guru for learning old-time fiddle, banjo and mandolin. He has students all over the world and is in great demand as a workshop teacher at traditional music festivals. 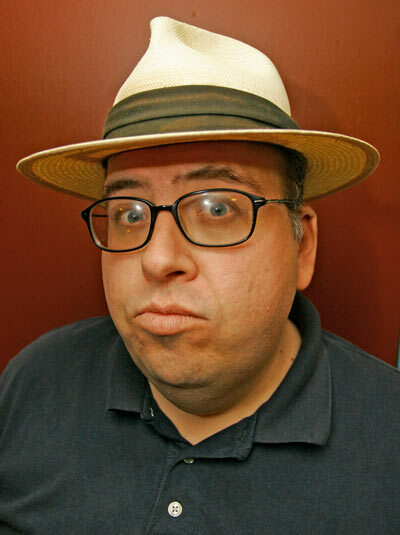 David is also the Old-Time String Band Ensemble director at the UCLA Department of Ethnomusicology. In addition to teaching, he documents the greatest living old-time musicians for future generations. David directs, shoots, records, edits and spearheads the vision of Tiki Parlour Recordings. Old-Time Tiki Parlour article from No Depression! Review for David Bragger’s solo album “Big Fancy” from No Depression! Tiki Parlour Recordings co-producer Richard Hocutt is an avid 78-collector, banjo-builder and old-time musician. Richard Hocutt is a 30 year entertainment industry veteran. He was deeply involved in independent music distribution, promotion and marketing of various genres of music throughout the 80’s and 90’s. From 1990-97, he was the Executive Vice President and General Manager of the West Coast branch of Independent National Distributors Inc. (INDI) and the COO of California Record Distributors, Inc.. Richard has continued to advise music acts, labels, and artists as an independent consultant, and manages a catalog of masters and music publishing. Richard helped promote, market, sell, and develop artists as diverse as: BeauSoleil, Run-DMC, Ricky Skaggs, Alison Krauss, The Dirty Dozen Brass Band, NWA, Nashville Bluegrass Band, Tito Puente, Salt-N-Pepa, Sublime, Robert Cray, Aswad, Queen Latifah, George Howard, Ben Lee, Anita Baker, PJ Harvey, Hieroglyphics, George Thorogood and Creedence Clearwater Revival. He is a key ingredient to the success and integrity of Tiki Parlour Recordings. 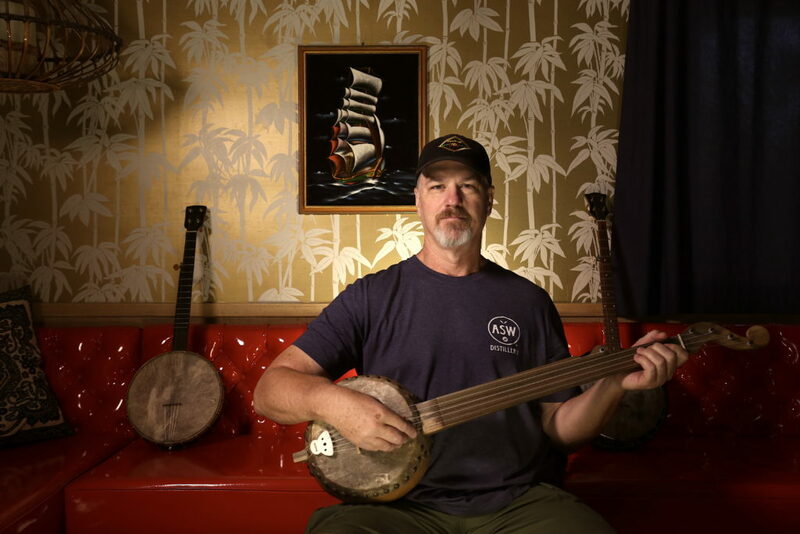 Chris Berry has been playing country blues and old-time country music on guitar and banjo for over 25 years. Since 2008 he’s played guitar and sung as part of Sausage Grinder, the Los Angeles area’s premier jug band. He appears on the Grinders’ 2010 debut (and so-far only!) album, Delicious Moments, and on the new album Big Fancy from Sausage Grinder fiddler David Bragger. Over here at the Tiki Parlour, Chris sometimes writes our liner notes, does the design layout for most of our DVDs and CDs, and mostly tries to make sure there aren’t any spelling mistakes! 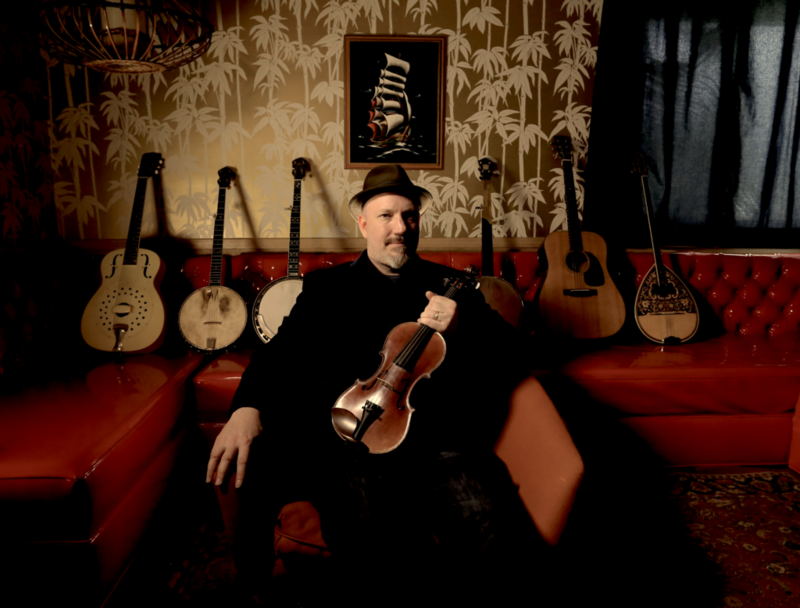 Chris has taught guitar and banjo and played at many Los Angeles-area festivals including the California Traditional Music Society’s Summer Solstice and Equinox Festivals, the Topanga Banjo and Fiddle Contest, and the Goleta Old-Time Fiddlers Convention. When Chris isn’t busy playing old music or watching ’60s British television and ’70s American game shows, he works as an editor and web designer. He’s a native of and lives in Long Beach, Calif. You can find Chris on YouTube atwww.youtube.com/banjochris and at www.sausagegrindermusic.com. Angelina Elise is a California-based, self-taught folk artist that is responsible for the wonderful artwork on most of the current Tiki Parlour Releases. 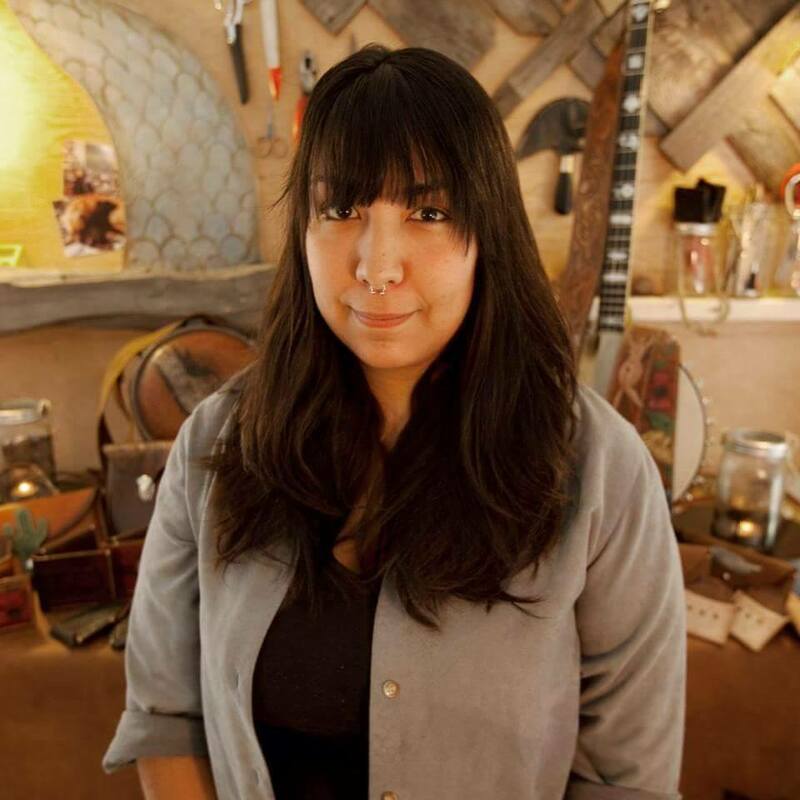 She got her start illustrating posters for the Hyperion Tavern’s All Acoustic Music series, which she hosted from 2005-2011. During the infamous Hyperion days, she connected with many of the Los Angeles old-time musicians and was smitten by the music and the community surrounding it. Her fanciful, and often tragedy-themed, artistic style embraces her local old-time scene and OT music in general. She draws and paints whimsical characters inspired by the songs and tunes she’s heard over the years. When she isn’t illustrating, Angel can be found flatfooting, plucking her banjo-uke and calling square dances. Recent work includes commissioned murals and custom handmade leather banjo and guitar straps. Howard Rains is an artist and fiddler from Texas now residing in Lawrence, Kansas whose artwork and graphic design have been brought in to the Tiki Parlour fold. As much known for his fiddling as his painting, the New York Times has called Howard “an authority on old Texas-style fiddling.” Having worked as a graphic designer for many years, Howard now travels, performs, teaches, and records with his wife and art and music collaborator, Tricia Spencer. Nick Bachman is an animation artist and old-time musician living in Los Angeles. 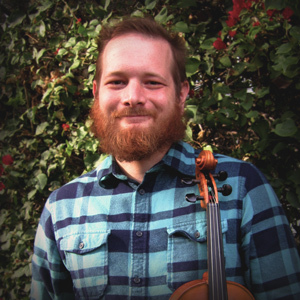 His interest in OT music began shortly before moving to LA in 2011, after which he started taking fiddle lessons from David Bragger. An Iowa native, he has a special interest in Midwestern old-time fiddlers from the Missouri Valley area, such as Uncle Bob Walters, Cyril Stinnett, Pete McMahan, and Iowa fiddler Dwight Lamb. When not fiddling, he works in the field of TV animation. He has done storyboarding, writing, animation, and design for Nickelodeon, Dreamworks, Cartoon Network, and Warner Brothers.